Not just looking. The goal is to provide peace of mind that will help you make an informed decision. With up close attention to detail and a keen eye to spot potential issues. The usage of quality tools and up to date knowledge of standards and best practices for building as well as safety. 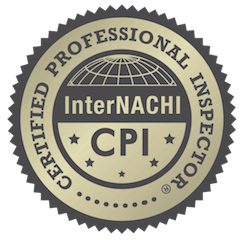 This along with professionalism and the willingness to provide excellent service will ensure a thorough and efficient inspection. The report will outline the general condition of the home and any issues or concerns discovered. Call me anytime at 760-610-3031 or you may also schedule online.